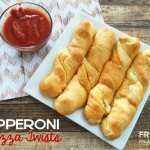 Skip the delivery and opt for these Homemade Pepperoni Pizza Twists made with crescents. This is such an easy recipe and yummy for all! My kids love making it and I love it for an evening when I don’t have that much time to invest in dinner. We suggest one cup of shredded cheese but add more as needed – some of us really like it cheesy! Press two crescent triangles together to make a rectangle. Brush your rectangle crescents with butter. Sprinkle 2 Tablespoons of cheese in the center. Place 3 pepperonis on top of the cheese. Fold each side over to the middle and press the edges together. Twist your breadsticks and place onto your parchment paper. Serve with a side of marinara sauce for dipping and enjoy! Looking to have this with something you can dip it in? 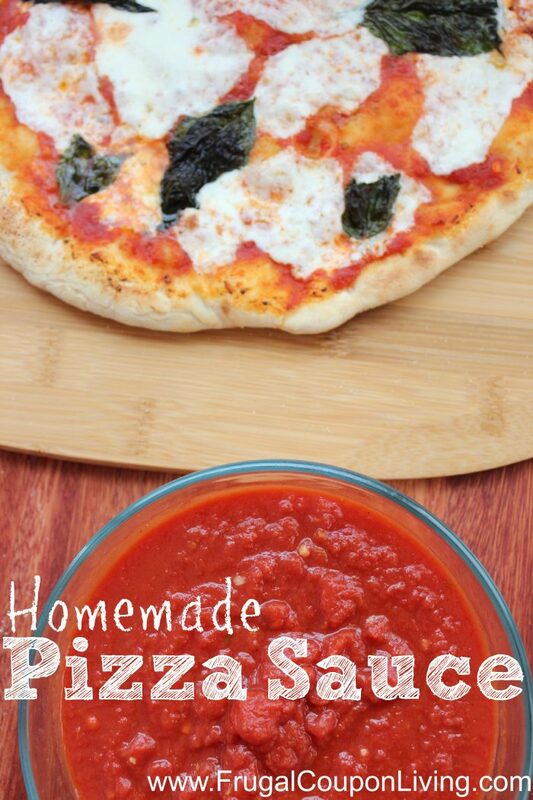 Try our Homemade Pizza Sauce! Pin to Pinterest. We have SO MANY Pillsbury Crescent Rolls Recipes that we would love to share! Pin to Pinterest. Would I be able to make these and then freeze them? I like to fill up my son’s lunch with items that can thaw all morning. Can they be eaten cold? Microwaved? Any help would be appreciated. Thanks!!! I am not sure I would prefer them that way Stacie. Why don’t you make a batch for dinner this summer and freeze one and try it later that week to test in preparation for school.